Adequate shower water pressure is one of the factors that make a shower feel refreshing and comforting. Low water pressure in the shower can be frustrating and uncomfortable. Below is a list of reasons for low water pressure in the shower and what you can do to improve shower water pressure, while also balancing water conservation. Many homes, particularly in California, have low-flow and water conserving shower heads installed. Older versions of these showerheads can result in low shower pressure and a dissatisfying shower. 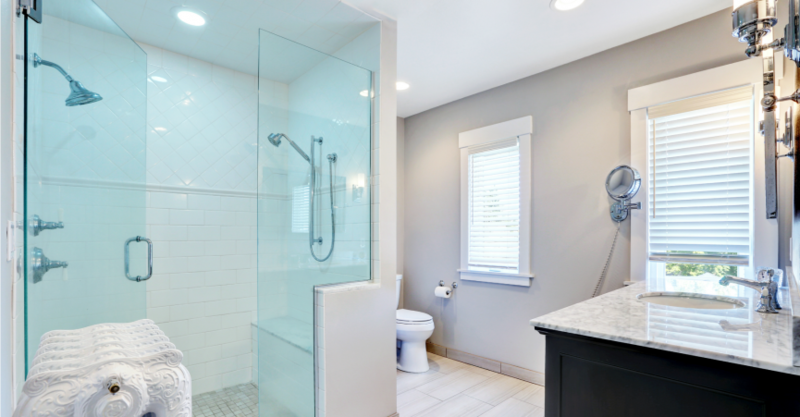 While it is necessary to have a low flow or water restricting shower head installed in California, upgrading to a newer version can help maximize the available volume of water used for a more refreshing and satisfying shower. Showerheads can also accumulate mineral deposits from hard water over time, decreasing the volume and flow of water through your showerhead. You can remove mineral deposits from your shower head by unscrewing the detachable showerhead component and soaking it in a bowl of vinegar for at least eight hours. You can then scrub remaining deposits away with a toothbrush or a toothpick. This can help improve the flow of water through your shower head. 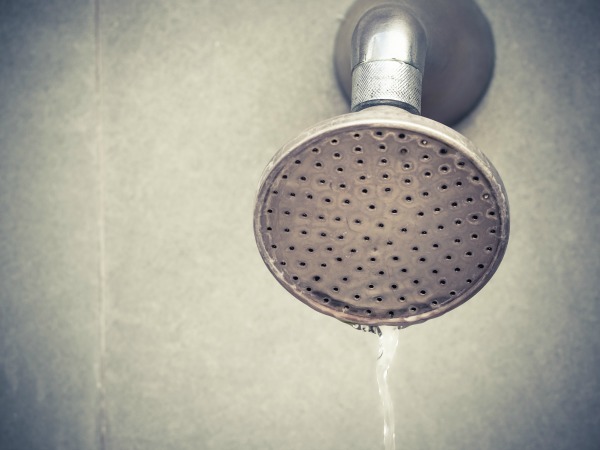 Low water pressure in your shower may be a result of low mains water pressure. While the water meter valve is generally the responsibility of the city, if plumbing work has been done on your system, it’s possible this valve is not fully opened. On the homeowner’s side of the water meter, there’s also the main shut off valve and in line valves that may also be partially closed. A qualified plumber can check and evaluate the water pressure through your mains supply and help you discover what might be contributing to low water pressure. Failure with a faulty water pressure regulator may negatively affect your water pressure. While a failed water pressure regulator would normally cause a sudden increase in water pressure, in some cases it can cause a sudden reduction. Single control showers have a volume valve that influences shower pressure. This complex part can influence the flow of water through your shower over time and replacement is often the only option to repair it. If you’re experiencing problems with a single control shower, it’s a good idea to call a qualified plumber to investigate whether this replacement is needed. The most complicated potential cause of low shower pressure is a problem with your plumbing system or pipes. Pipes can become corroded or blocked over time, constricting the flow of water. Leaks and damage to pipes can result in water loss which diminishes the flow of water to the outlets in your home. If you suspect damage or degradation to your plumbing system, it’s important to have this investigated as soon as possible. In most cases, low shower pressure can be easily remedied, but it’s worthwhile to investigate the cause of your unsatisfying showers. Call Magnificent Plumbing, your local plumbing company today for a full analysis and an expert solution for a more gratifying shower.